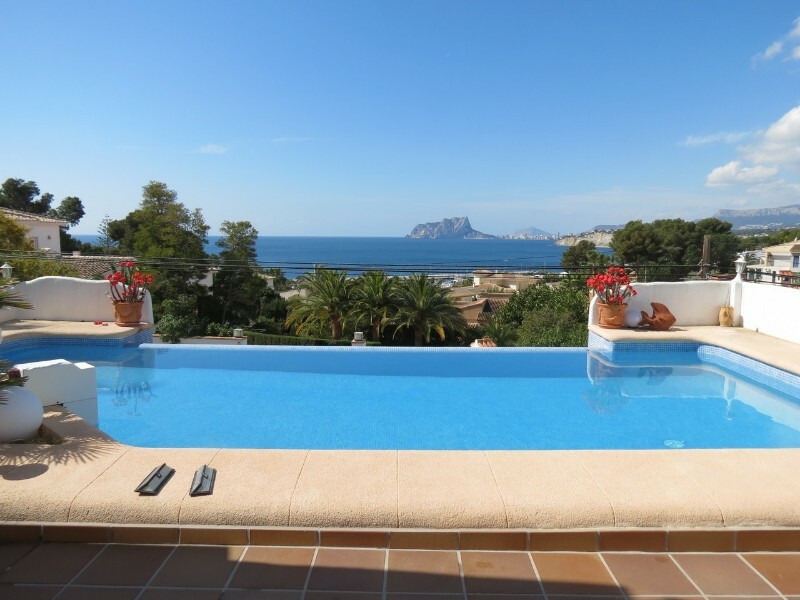 Magnificent villa overlooking the sea at walking distance from Moraira! 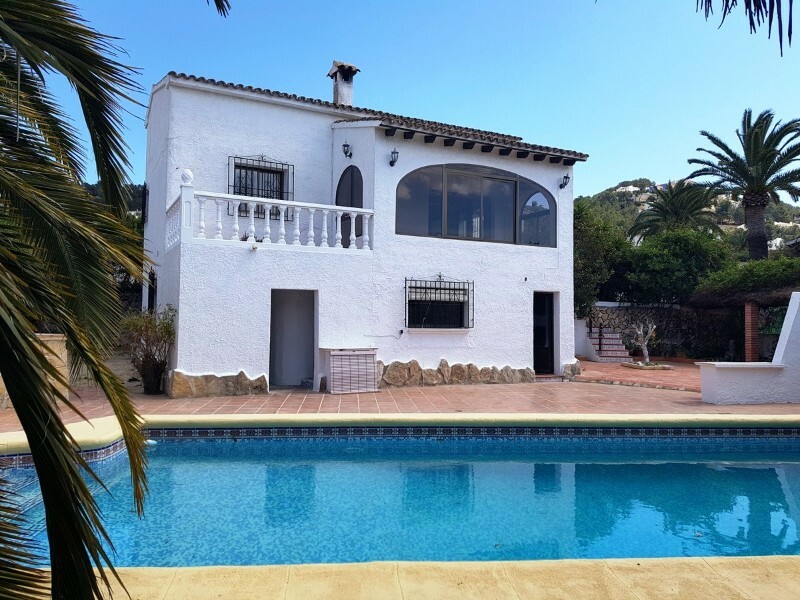 Impressive villa located in the nice neighbourhood Pla del Mar, 500m walking distance from town and beach. The property is in 3 parts, the lower part has 1 bedroom, 1 bathroom, the pool with garden, terrace and bbq area. Via a few steps, we have access to the main living floor with a large glazed naya with lovely views over the town and the sea. There is a spacious living-and diningroom, open kitchen, a nice fireplace, 2 bedrooms and 2 bathrooms. Upstairs is a wonderful livingroom with a terrace and inredible views to the sea and Moraira. In this higher part of the house is also a fully equipped kitchen, 1 bedroom with bathroom and a hobbyroom. A wonderful villa that definitely must be seen!